B/W photograph, 3 5/8 " x 4 1/2," mounted on a 5 1/2 " x 6 3/8 " cardboard frame. 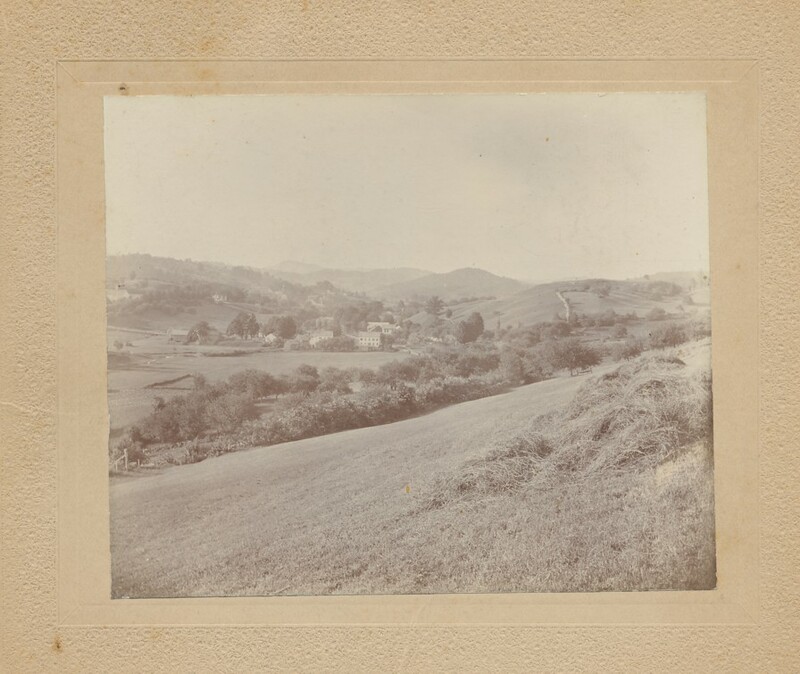 Handwritten note on reverse reads: "View of Pumpkin Hollow from Fields Hill." Possibly Galen Hollis Hassell (1910-1983). Gift of Florence E. Tenney Hassell (1915-2013). Possibly Galen Hollis Hassell (1910-1983)., “Pumpkin Hollow,” Conway Historical Society, accessed April 21, 2019, http://conwaymasshistory.org/items/show/242.